Drink biers (beers) get tipsy and jiggle non-stop to the tone of lively music, steeped in the rich culture and tradition of the yearly celebration of the German’s historic street festival concocted as the world-famous ‘OKTOBERFEST’. The highly favored German’s Oktoberfest is celebrated all over the world but in Munich, Baravia remains the largest ever beer festival in the world, so it’s no surprise that Baravia has the oldest brewery founded in 1040 which is still in operation today. In Germany the usual size of a beer mug is one liter and to get a beer all one need to do is put up a thumb. This custom entitles you to one but if a finger is shown first before a thumb, it means you are requesting two beers. The Germans love their beers so much that they even created an expression to go with it: “Das ist nicht mein bier” (In English this means): “That is none of my business.” There are over fifteen hundred different brands of beer which is the main reason their beer is sold the cheapest than anywhere else in the world. But not likely to be anywhere near cheap at the Nashville chapter of Oktoberfest in the historic Germantown community of middle Tennessee come this October 13th. 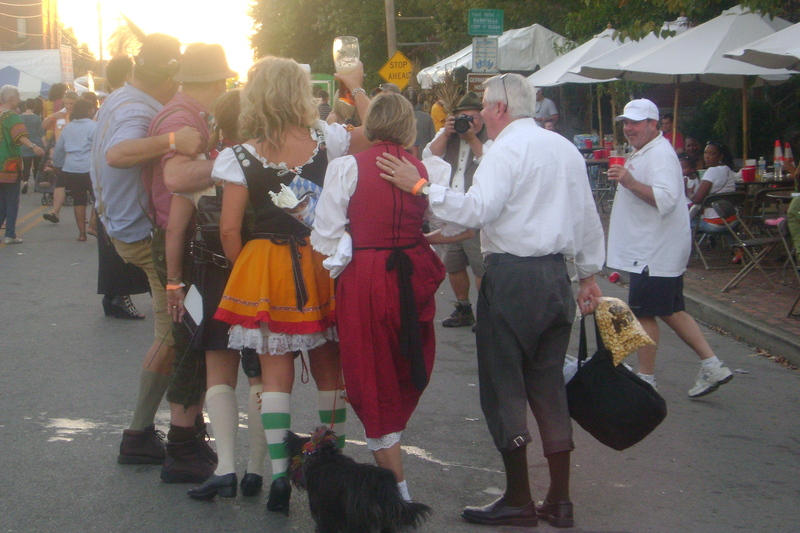 Oktoberfest is also celebrated annually in many parts of the United States and after a few decades this street festival particularly in the historic Germantown District of Nashville has seen a rapid increase in support. The celebration will fiddle off at 9 am its usual time with an opening ceremony half an hour later hosted by the sponsoring churches: The Assumption Catholic and Monroe Street United Methodist. Attractions include stage shows, dances, specialty booths displaying a wide range of the rich German culture in art and crafts, German wears, authentic foods and beverages and a variety of musics. There will be street performances, marching band and the favorite Polka Dot dancing among other highlights. But amidst all this, the thudding financial burden of keeping up the Germantown Oktoberfest tradition, year after year is striking but will not be a damper on the spirits of patriotic Germans. So this year bubbling with ideas the Germantown organizing board have reached out far and wide extending their invitation outside of tradition and grappling more vendors as never before.